Expanding regenerative agriculture. Partnerships, not transactions. Restoring the earth, restoring consumer trust. Farming that restores natural resources, rather than depleting them. RICHMOND, Va. - March 6, 2019 - PRLog -- The line up of farmers in Grounded Growth's Regenerative Partnership Forum include vanguard Regenerative Farmers from across North America who represent the front line of the Regenerative Farming movement. Regenerative agriculture is more than a promising concept. Food companies can start working with regenerative farmers right now. Some of the most hard-working and influential farmers in the Regenerative movement have partnered with Grounded Growth because they seek authentic connections with food companies like those attending the New Hope Network Natural Products Expo West trade show being held in Anaheim, CA this week. 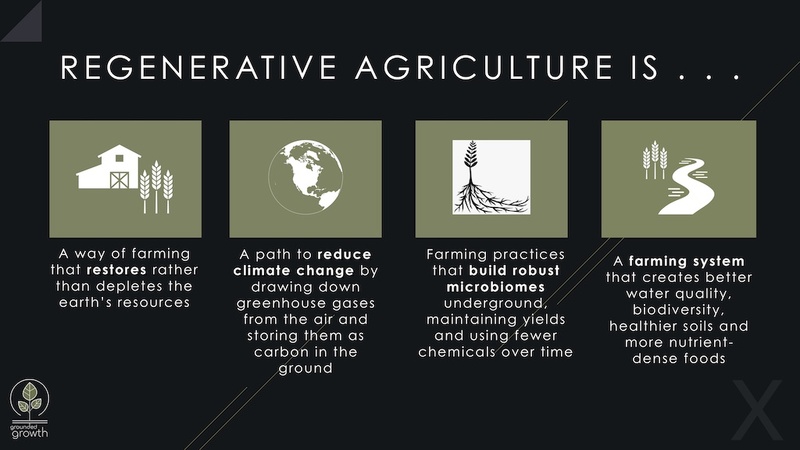 Regenerative agriculture refers to a way of growing crops that restores rather than depletes natural resources — particularly improving soil health and the soil microbiome. Grounded Growth provides food companies with immediate access to the farmers practicing cutting-edge regenerative practices today. These are farmers who are leading the way by actually doing - not just talking - about regenerative. Our farmers are exploring various ways to measure the value that the healthier soils they create can provide both to a healthier environment and a healthier food system. Grounded Growth also provides opportunities for food companies to participate directly in the expansion of regenerative farming through a sponsorship that adds cover crops and other regenerative practices to the land. In exchange, farmers serve as unique brand ambassadors -- sharing the practice implementation through photos and messages on social media. "Our partnerships help restore the Earth's soil and water, mitigate climate change, improve ecosystem biodiversity and improve business profitability — all at the same time," says Sara Harper, Founder and CEO of Grounded Growth. "Regenerative agriculture has tremendous promise to help reduce climate change — if it is done in a way that focuses on expanding regenerative agriculture at scale, not just creating a new niche market that can only be met by a tiny subset of farmers. Facilitating meaningful direct relationships between food companies and regenerative farmers is how we are going to make this happen, together. It is the only way to help mitigate the risk of shifting to a new food paradigm." Membership in the Grounded Growth Forum provides a platform for learning and real-life discussion between food brands and regenerative farmers, providing food companies with the connections and resources needed to build a regenerative supply chain. Grounded Growth does not charge the high rates that typical consulting firms do — we ask instead for everyone to help offset the cost of running the platform, and contribute your time and expertise in our online forums, so that we may grow and succeed together. For more information about Grounded Growth please visit http://www.ourgroundedgrowth.com/. 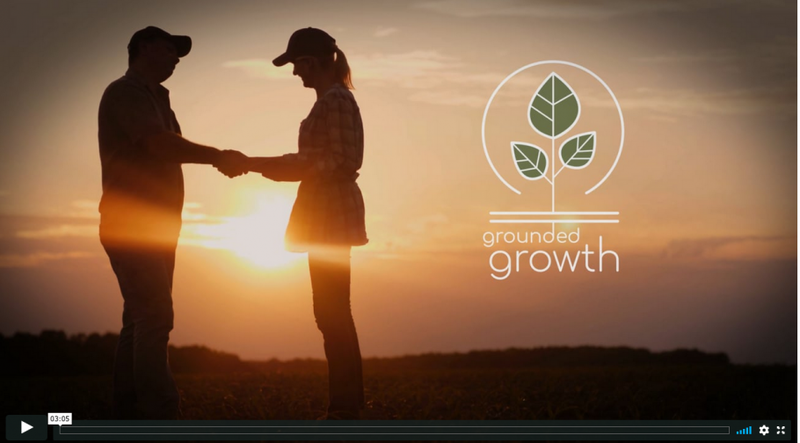 Grounded Growth provides a variety of ways to get involved directly, like membership to our online forum, partnerships that expand regenerative farming practices, and regenerative supply chain solutions. We invite you to differentiate your company through the authentic relationships you always dreamed of with regenerative farmers across North America.